It is important to Elias Marine that the Services provided to Clients are of the highest quality. We offer a range of services within the Maritime Sector. Moreover, at Elias Marine we strive to ensure that our services meet the best interests of our Clients. Our clients are provided with continuous guidance, ensuring that all their rights are protected and that their risks and liabilities are minimised. We handle a wide range of maritime matters involving, but not limited to, complications arising out of and in relation to charterparties; including cargo claims, customs fines and bills of lading disputes. Our team encompasses qualified experts with the necessary experience and hands on knowledge of local practices and customs. With a network of offices, local contacts and our team’s expertise in various jurisdictions, we are able to guide and offer advice on how best to try recover unpaid debts. This includes running searches and conducting investigations for and on assets in various countries through our network. The maritime industry has been faced with an alarming amount of fraud on an international level. Despite precautionary measures, you too may find yourself to be a victim of fraud. At Elias Marine we are able to assist in identifying and investigating the fraud and provide advice as to what avenues may be pursued. Reducing your risk starts with identifying it. Loss prevention and risk management is key in reducing and avoiding claims. > Damage surveys > On-hire / off-hire surveys. Given the experience of the Elias Marine in the shipping industry, Elias Marine offers a consultancy service to the shipping sectors in the Mediterranean and Middle East. 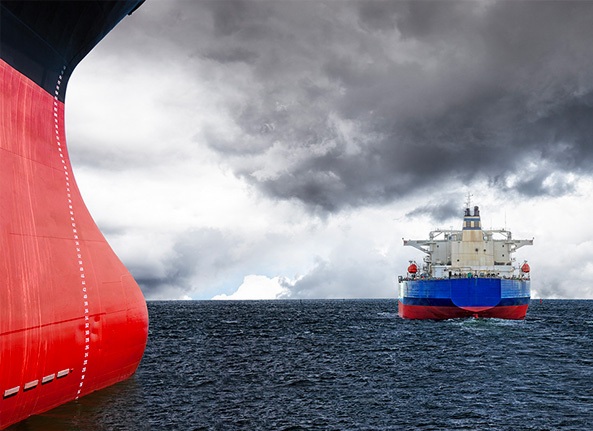 Our consultancy service covers areas such as trade complications, ITF disputes, sanctions and vessel de-blacklisting. At Elias Marine we strive to deliver guidance to our Clients on all shipping aspects. Elias Marine is a P&I Correspondent for many P&I insurers, including the International Group Clubs for Cyprus, Lebanon, and Egypt. Elias Marine not only carries out the P&I Services for the areas in which it has offices but we also cover the Middle-East and North African countries. Our multi-lingual and knowledgeable staff regularly deals with all types of shipping difficulties and claims on behalf of P&I insurers and their member’s. Our modus operandi in these situations is to react quickly, deal with matters efficiently, to add value and always keep the client informed.